Renovating a home is no easy feat. Aside from finalizing tons of plans, filing permits, and allocating enough budget, you need to find a design professional who can understand and execute your vision for the space. This house in Cavite underwent a couple of renovations before, but these were unsuccessful. 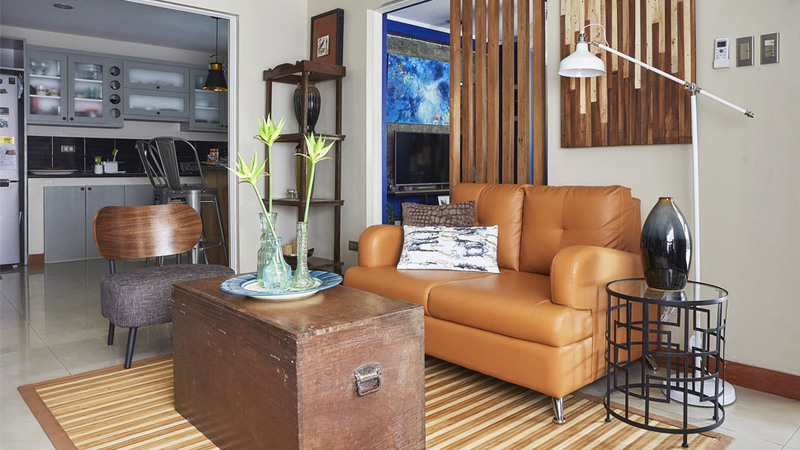 Fortunately, the owner stumbled upon design consultant Grace Moslares on realliving.com.ph. “I am happy that she gave me the freedom to design her home. Given the budget, I had to consider the existing pieces in the home and the additional works she requested. It involved the extension and enclosure of the terrace to create an additional bedroom as well designing and working on the fence, gate, and façade of the property,” Grace explains. The list may seem daunting, but Grace was able to deliver a revitalized space, complete with well-thought-out details that her team added. Arnel Lozano of Magara Designs supervised the project and made sure Grace’s design was implemented. Meanwhile, the three major works of art on display were done by Magara’s head of creatives, Jayson Bongat. After the renovation, the owner is pleased with the outcome. The home is cozy and comfortable, with clutter-free areas that are perfect for rest and relaxation.